First, check out our portfolio. Then contact us to see what we can do for you! The Adakist portfolio features several websites that we have designed for various clients and businesses. We are able to provide web designs in differing themes and styles while retaining an easy structure for your visitors to utilize and discover your website. A website to showcase the work of Gillespie Photography and provide a portfolio for customers. A unique and updated look for a real estate agent looking to stand out. 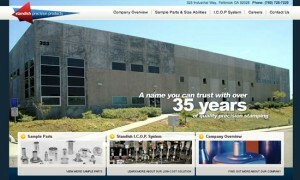 A professional brochure website for a manufacturing company. A clean and efficient website to provide information about Telesec’s answering services. A simple and clean design for a webhost that specializes in backup hosting. A fun, colorful website designed to optimize “playability” on this online games website. 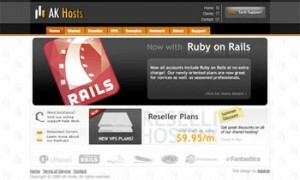 A web hosting website design for AK Hosts using sleek lines and boxes. 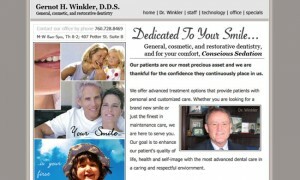 A simple and refined website for a local dentist office providing family dentistry. 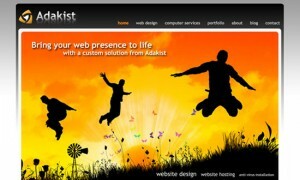 This design was used for Adakist in 2008. It is a simple design, highlighted with bold elements.